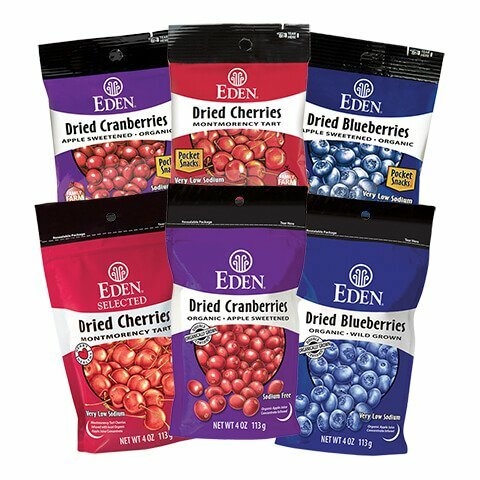 EDEN Dried Fruit is pure and purifying fruit with no refined sugar, refined oil, sulfites, or other chemical additives whatsoever. They are delightful, energizing, nourishing, and wonderfully versatile food. There’s no need to limit their use to snacking. 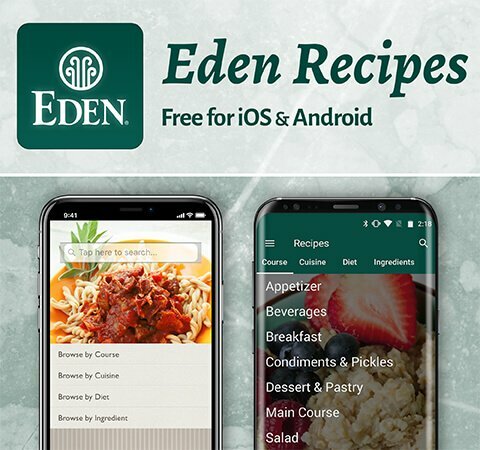 Naturally sweet/tart, they add pleasing flavor and texture to salads, grains, beans, stuffing, cereal, desserts, pastries, breads, and a wide variety of cuisines. 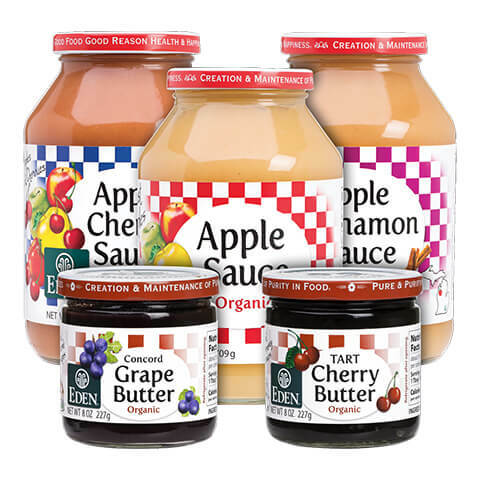 EDEN Fruit Sauces & Butters are U.S.A. family orchard and vineyard fruit organically grown. They are patiently slow kettle cooked the old-fashioned way, the only best way. This concentrates the fruit’s flavor and creates delicate texture. No refined sugars or additives are ever used. 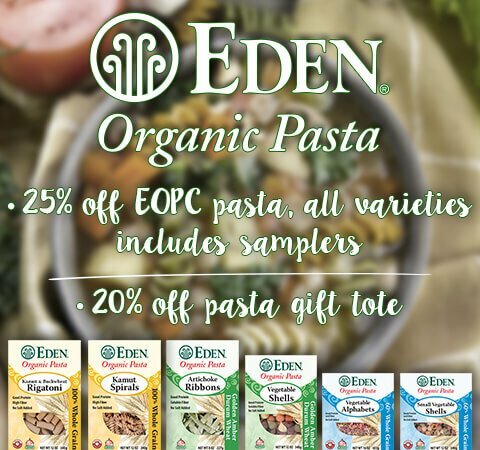 EDEN Juices are organic fruit from U.S.A. family orchards and vineyards. 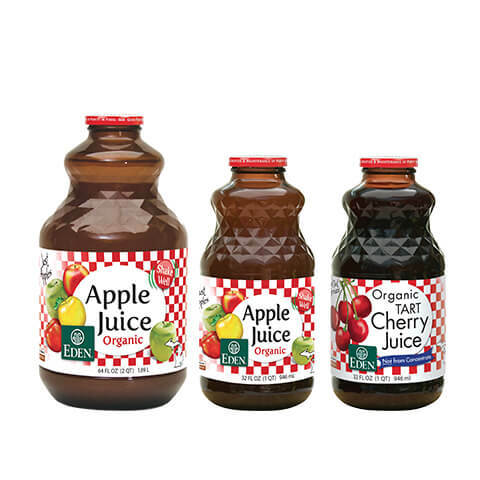 They are pure, undiluted, old-fashion juice, simply fresh pressed, lightly filtered, and bottled in amber glass that best protects flavor, nutrients, and antioxidant value. 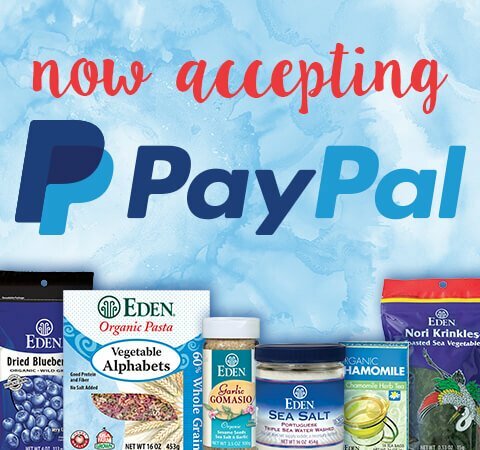 No added sugars, GMO enzymes, or additives are ever used. They are just not needed. 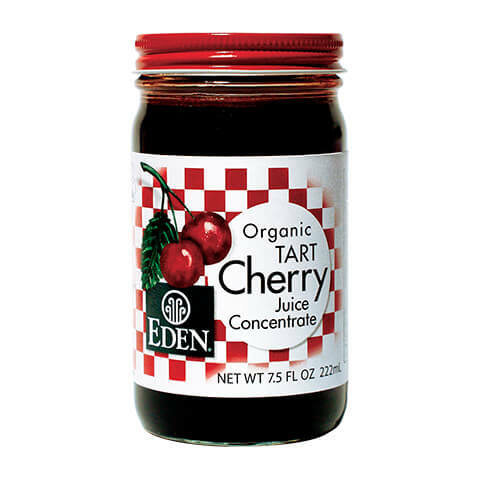 Michigan family orchard organic Montmorency Tart Cherries reduced to a tangy sweet syrup of 68 Brix. For beverages, smoothies, sauces, salad dressings, desserts, pastries, baked goods, pancakes, and waffles. A delicious ‘cherry pie’ flavor that delights and soothes.